For those of you who celebrate Hanukkah, happy holiday!! For those of you who celebrate Christmas, are you still shopping? I’m pretty much done. But this weekend, my husband asked: “What do you want for Christmas?” I’m so busy at holiday time, I don't given "me" much thought. But my husband really appreciates some gift ideas. So yesterday, I starting making a list of gifts under $100. When it comes to buying gifts for me, my husband likes it “when I draw him a map,” so I went online to see if I could find photo examples. Naturally, there's lots online and much of it on sale. Below is a sample of my favorite gifts under $100. For instance, I'm crazy about belts this season and would love to get a fun belt like the Exotic Leather Skinny Belt ($34) above. What are you hoping "Santa" will leave under the tree? I'd love to know. Well, it's already happened: I've lost my favorite pair of gloves and it's only December! So a pair of gloves is on my list. But this year, I'm asking for long gloves. I still haven't found a jacket with three-quarter sleeves, but I'm hoping I will soon. I just love that look. I love all the fur collars on sweaters and jackets this season. When I saw this Faux Fur Snood (was $98, now $73.50), I thought: This is perfect! A faux fur piece I can wear with several coats and jackets. I love nice sleepwear, especially romantic and classic nightgowns. However, this Christmas, I'm asking for a robe, like this Jones Ny Festive Bouquet Prnt Satin Rbe ($44.99). It's is a great piece for traveling, especially when you're a house guest. I've been thinking my "street look" could use a little sprucing up. I'd like to add a classic silk scarf in soft tones like the ones you see on Parisian women. I love the cuff look, but have never worn one. I'm thinking a sleek, art deco cuff like this Wide Rectangle Pyramid Stretch Bracelet ($68) might be a great way to try the trend. My wallet is looking a little shabby. I'd love something in a colorful leather. This one has an animal print lining. Jones New York Park Avenue Leather Wallet (Orange) (was $78, now $59) in 8 fab colors. A stylish umbrella is always a nice addition to a gal's street look. 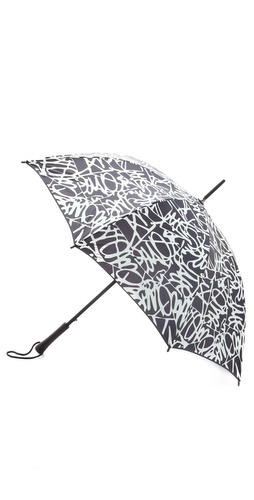 An umbrella with a Diane von Furstenberg print sounds pretty perfect. I travel with an iPad a lot and feel like I'm tempting fate by just throwing it in my bag. It would be nice to have a stylish case like this well-priced Marc Jacobs case. 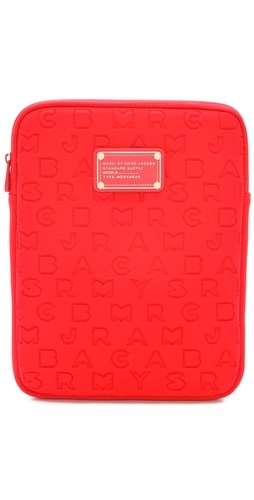 Marc by Marc Jacobs Dreamy Logo Neoprene Tablet Case (was $58, now $40.60) Also available in Pink. Last Christmas, my husband gave me Bobbi Brown: Living Beauty. I admire Bobbi Brown so much. Her book is a fun read with easy-to-follow makeup tips (I need so much help with makeup!!). I thought it might be fun to ask for another book this Christmas. There are so many style books available, it's hard to know which one to pick. 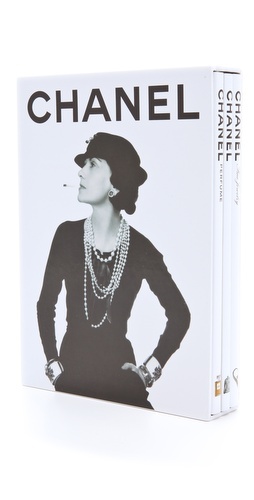 For my list, I chosen Books with Style Chanel Three Book Set ($75). because Chanel is another woman I greatly admire and I feel her ideas about style are still very relevant.